This Sunday, June 5th, Sprint will be launching the Wi-Fi version of the BlackBerry PlayBook according to a tweet sent from Sprint's Marketing Director, Gerald Evans. Evans' personal blog says the 16GB device will be priced at $499.99 and will be available at Sprint's retail stores, through telesales, Business sales and from Sprint's web site. 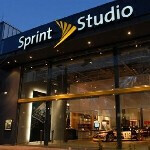 Mr. Evans also wrote that Sprint will have the 4G version of the tablet later this year. Just a few days ago, we reported that a Google search for Sprint PlayBook resulted in the discovery of a web address reading now.Sprint.com/PlayBook. We hoped that this was a clue that the WiMax enabled version of BlackBerry's tablet was about to be launched, but it looks like in retrospect, that it was a clue for the Wi-Fi version of the PlayBook that will apparently be launched by Sprint in 3 days. As for the 4G version of the BlackBerry PlayBook, it looks like it might be a few weeks at the least before that Gerald Evans gets to write about that model in his blog. I wish Sprint was GSM and had UMA. Speaking of which, I hope they add UMA to the 4G version once it comes out. I hope in addition they add/fix the following: -Major CODEC compatibility (I'd like to see an app that adds codecs too if possible like K-lite) -Bridge doesn’t detect media files stored in my phone. It'd be nice if they added the ability to transfer/copy files back and forth as well. -Can't see/send sms/mms messages -Needs Swype -Universal Search like OS6/7 -Turn-by-Turn voice guided GPS (I'd even be willing to pay for an App that can save the maps and updates on the PB as well) -Blackberry App world needs a back button in the MY WORLD in order to go back to the original page you were last at. -Spell Checker & add to Dictionary option like my phone. -File managing for my apps and bookmarks. Be able to rename my bookmarks and arrange them in folders like Windows) - That "Dot" in Android that easily helps you fixes misspelled or change words. - USB hosting to connect external devices like printers, Digital cameras and external hard drives. -Camera Zoom when using the video camera -Camera needs to shoot pictures quicker- feels sluggish to take pics -Silverlight -Native Email, Calendar, BBM -Yahoo Messenger, Skype and OoVoO- what good is the front facing cam if you can't put it to good use!